«The proposal coming from the Manufacturing classification system (MCS) working group represents a “guideline” for the formulator, that might be used as far as possible adapting it to the specific active ingredient to be formulated and inserting its description into the pharmaceutical development section of the dossier». Piero Iamartino coordinates the new AFI’s Pharmaceutical Technology working group, together with professor Andrea Gazzaniga of the University of Milan. He summarizes for Pharma World the history and final goals of the MCS initiative, originally proposed in 2014 by a British university-industry mixed working group led by representatives of three big pharma, Bristol-Myers Squibb, GlaxoSmithKline and AstraZeneca. AFI’s Pharmaceutical Technology group accepted the invitation of the authors of the paper published in Pharmaceutical Development and Technology1 aimed to review the potential of the proposed approach and how it could benefit the pharmaceutical industry. «The introduction of a manufacturing classification system could help explain the quality-by-design approach to the regulatory authorities, highlighting that the manufacturing process has been developed taking into account quality criteria and the critical quality attributes of the active ingredient. The MCS would have no direct impact from the regulatory point of view: it would rather enrich the knowledge of the formulator, to be briefly explained in the dossier», explains Iamartino. The Manufacturing Classification System represents a hierarchical organization of the different production methods to obtain solid oral formulations, discussed in comparison to the chemical-physical and mechanical characteristics of the individual active pharmaceutical ingredients (APIs) and to the specific formulative requirements (figure 1). The deeper understanding of the factors leading to the choice of the production technology could help, according to the authors, to better assess the risk associated with the different approaches, based on past experiences. «The proposal represents an attempt to rationalize the approach of the pharmaceutical development of solid oral forms. 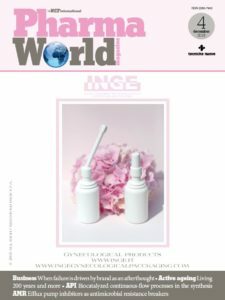 I also see it as the result of the progressive knowledge about physical characteristics of active ingredients, pharmaceutical formulations and processes which accumulated in the past decades», says Iamartino. The proposed classification of manufacturing methods according to APIs’ characteristics also responds to the need of identifying the bottlenecks that may be encountered during development, such as uniform blends that flow without adhesion to the surfaces and that can be easily compressed or inserted into the capsules. «Application of this approach could reach a double result: first of all, it could induce suppliers of active ingredients to better evaluate the physico-chemical characteristics of the APIs and to discuss them with the formulator». This would represent a silver lining, according to Piero Iamartino, to improve the communication between chemists and formulators, and the quality of the final product thereof. «It is something that goes in the same perspective of the currently more applied approach – quality-by-design – those target is to achieve project’s quality in the development of a pharmaceutical formulation. With the introduction of the Manufacturing Classification System, a more robust formulation might be obtained, optimized with regards to the quantity of excipients used. And produced using the simplest manufacturing process, which is also the less costly from an economical point of view». The Biopharmaceuticals Classification System (BCS) was introduced about two decades ago with the aim of classifying the active ingredients based on their solubility and intestinal permeability (figure 2), i.e. 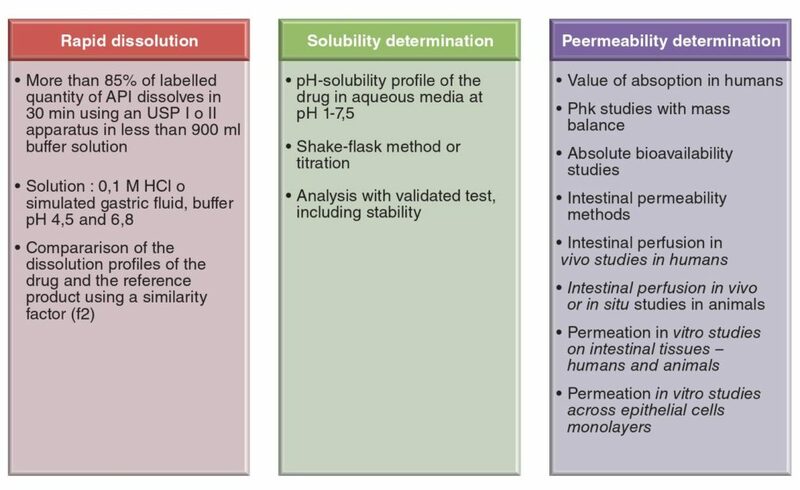 the main parameters that influence bioavailability (figure 3). The British working party emphasizes in its article that such classification does not take into account other important parameters of the active ingredients. Particle size or the crystalline form of the APIs are only a few examples of parameters that can affect the biopharmaceutical properties of a solid formulation for oral use. The proposal of the new Manufacturing Classification System would complement the already existing BCS, providing for a more comprehensive view of pharmaceutical development both from the patient safety and efficacy point of view and the choice of the production method. Collecting and grouping under a unique reference system the today fragmented evidence could also allow, according to the authors, to guide solid oral form development based on the specific physical characteristics the APIs, i.e. particle size, surface characteristics and bulk properties. «The introduction of the Biopharmaceuticals Classification System was an attempt to rationalize the evaluation of the biopharmaceutical properties of active ingredients. The BCS is closely linked to the chemistry of the activity molecule, it takes into consideration an inherent property such as solubility or parameters such as log P or liposolubility. BCS system is now undergoing a phase of further refinement – tells the coordinator of the Pharmaceutical Technology group -. The proposal of an MCS system, however, ignore this to focus on the manufacturing process at the pharmaceutical technology level. It is intended to highlight APIs’ properties that might impact on formulative choices, such as excipient composition. It works alongside the BCS system, but they remain distinct». According to Piero Iamartino, the greater knowledge currently available on the physical properties of the APIs is also a consequence of the greater availability of instrumentation to measure them accurately. «This is the first pillar of the proposal. The second pillar is the manufacturing process», adds AFI’s group coordinator. There are four different classes, according to the proposal of the MCS working group, to describe the production process of a solid oral form. They are denoted by an increasing complexity, starting from direct compression (Some properties related to Class 1, 2 and 3), dry and wet granulation (Some properties for direct compression) up to the production methods needed to address the formulation of active ingredients that can not be managed with the previous ones (Some properties for wet granulation). The progression takes into account the increase in the number of processing steps, resulting in an higher complexity and higher costs. This is counterbalanced by the growing ease to formulate also “difficult” APIs. «The evaluation of the strategy to be chosen should start from the simplest process, with an open mind towards the adoption of more complex criterion where necessary. Physical characteristics of the active ingredient and the drug loading play an essential role. The article apparently pays less attention to APIs’ chemical characteristics, such as chemical stability or reactivity. But of course they must be taken into account, as they represent a preliminary condition for developing a solid oral formulation», says Iamartino. The authors of the MCS proposal also introduced the concept of “developability” to assess how the chemical-physical properties and the dosage of an active ingredient impact on a certain development strategy. A particular formulative problem is represented by poorly soluble active ingredients, which often require the use of complex, difficult to classify technologies within the rigid framework of MCS. In this case the fourth category (“Other Technologies”) should be the reference, even if direct compression or dry granulation might work well from the point of view of obtaining a product of good quality. But they do not solve the problem of solubility of the active ingredient. «Methods such as hot melt extrusion, melt granulation or spray drying should be considered», adds Iamartino. 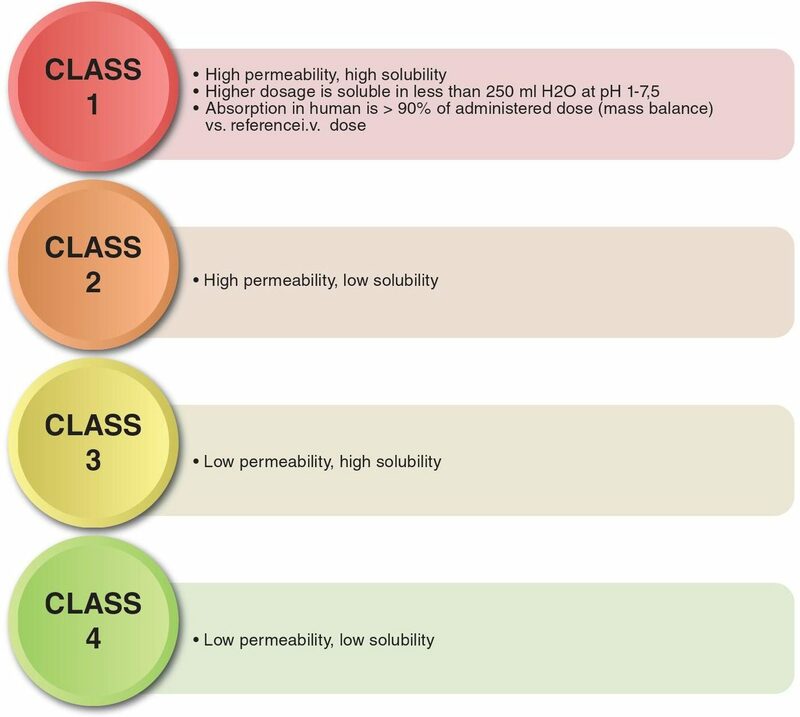 MCS classification system also pays a particular attention to drug loading, the amount of active ingredient that must be included in the formulation according to the pharmacologically active dose. It directly affects the choice of excipients and the size of the solid formulation. «The article refers to a scarcely known theory – percolation – developed more than ten years ago. It is a physical theory that tries to define the threshold that impacts on the formulation», explains Iamartino. Percolation addresses the possible passage of the active ingredient through the solid matrix formed by excipients and directly impacts the processability of the chosen method of manufacturing. The percolation threshold is defined as the API’s level that influences the final properties of the pharmaceutical finished form and is influenced by the surface, mass, volume and mechanical properties of the active ingredient. When the dosage of the API or its physical characteristics exert a strong effect on the formulation, the percolation threshold is low. «There is an influence on the robustness of the formulation, whereas if the threshold is high this impact is less important. A classic example of an active ingredient with a low percolation threshold is a micronized product, which could not flow and distribute well, or an high dosage», adds the coordinator of the Pharmaceutical Technology group. The MCS working group emphasizes in the article that it is necessary – for each active pharmaceutical ingredient – to confirm its specific percolation threshold. It suggests also that, ideally, the robustness of the formulation should be based on a formulative design that includes an appropriate “buffer zone” away from the percolation threshold. Multistep processes also require more attention, because this type of process often induce more stress on the molecule of the active ingredient, which may result in its modification and/or unwanted reactions. 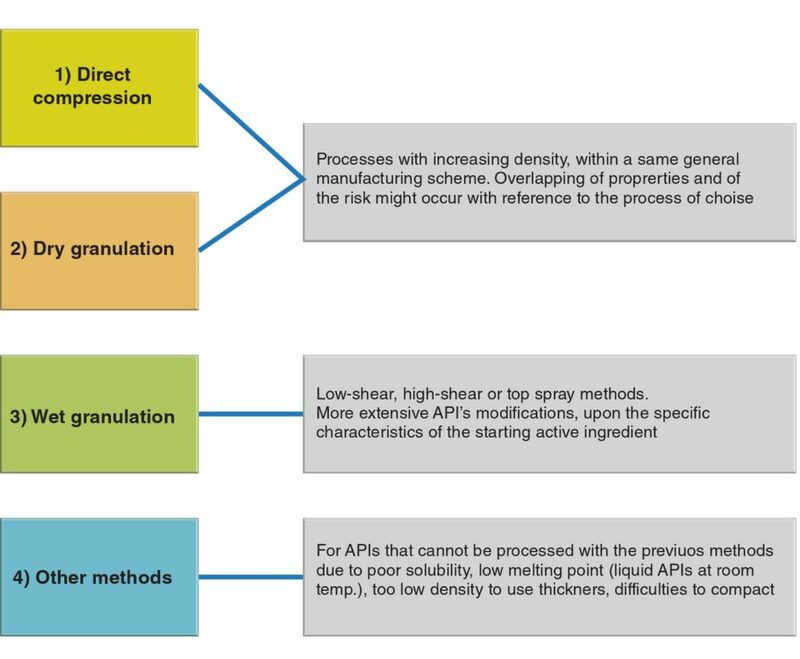 Friction forces during milling and grinding, exposure to moisture in wet granulation, or the heat required for drying or coating may all be possible causes of variation of the APIs’ characteristics. Once again, according to the article, if parameters remain within the percolation threshold the formulation is robust compared to its ability to accept any changes to the active ingredient. The MCS working group also explains that this could lead to a greater difficulty in identifying the root causes giving rise to manufacturing defects during the production process. «This work highlights how an increase of the complexity of the process creates higher risks in terms of quality. The use of this knowledge systematically and according to these criteria should help the formulator to choose the best solution. The evaluation should not start from the more complex process, but rather begin considering how the characteristics of the active ingredient impact on the robustness of the formulation», adds Iamartino. The proposal of a manufacturing classification system is not free from points of weaknesses, which require further reflection according to the AFI’s Pharmaceutical Technology working group. First of all, the extreme diversity in the molecular structures of active ingredients that could make difficult to standardise the applicability of the system. «The attempt by the authors of the article is laudable, and also very intriguing and stimulating. But undoubtedly I have some reservations about its possible application to all the active ingredients», concludes Piero Iamartino.